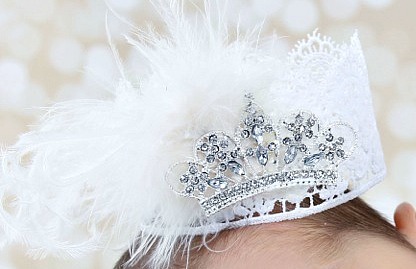 A luxurious mini lace crown will adorn babies sweet head! 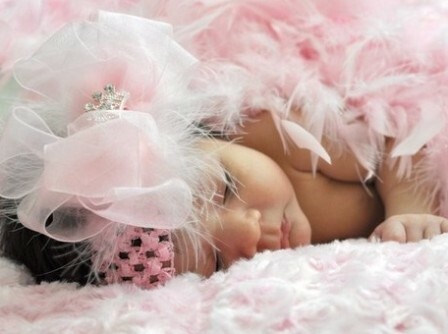 She will look like a little angel from heaven. 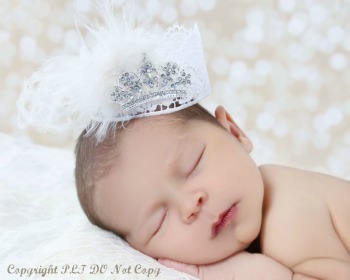 This makes a stunning newborn baby gift or photo accessory. 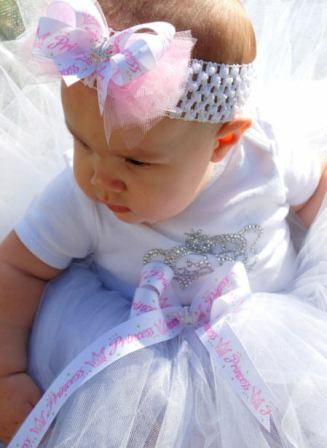 *Comes adorned with handmade white lace crown, white feathers and rhinestone tiara. 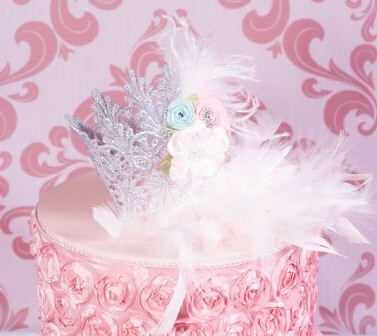 *Crown measures 5" across.